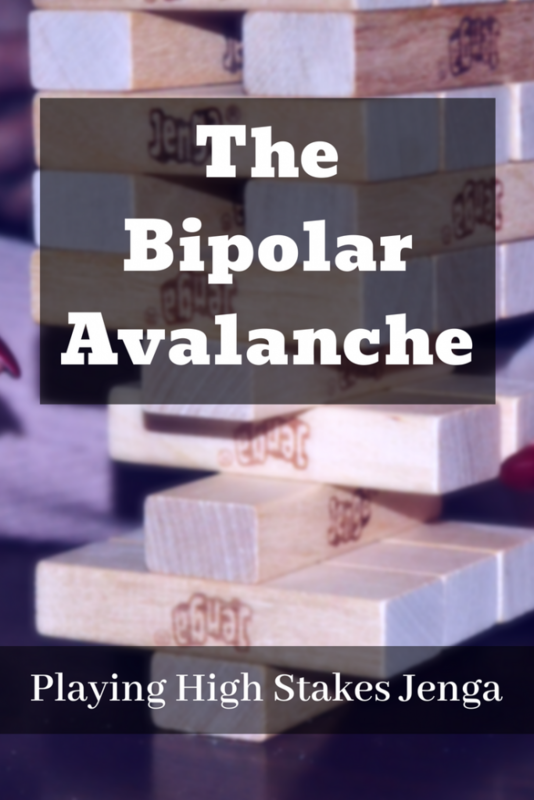 Living successfully with Bipolar Disorder is a constant balancing act. It’s important to keep physical activity, proper nutrition and adequate rest each in their proper place. The Bipolar brain loves to do everything it can to throw off that balance. Balance is possible. It’s sometimes complicated and requires daily, if not hourly, attention. Below are some of the things I do to remain balanced. Writer’s Note: I am not a mental health professional. The posts I share on this site are primarily my own experience in living with mental illness and chronic health conditions. If you are dealing with mental illness, or think you might be, please seek appropriate professional help. Have you ever played Jenga? Most people have. For those that haven’t, Jenga is a game made up of small (and sometimes large) rectangular, wooden bricks. The blocks are stacked neatly in a three-brick wide tower to start the game. Gameplay then proceeds with each player taking a brick from somewhere below the top row and then safely placing that brick on the top of the tower without knocking it over. The game ends, and the player loses when the tower falls. 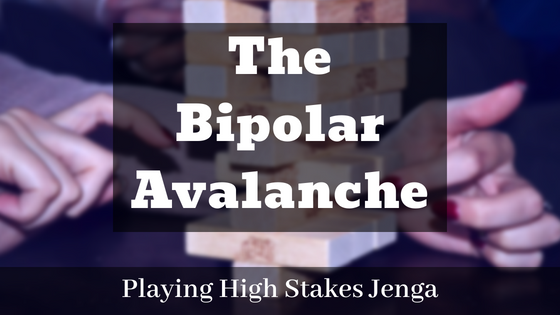 Living with Bipolar is very much like playing Jenga, but it is a much higher stake game. Losing balance brings down more than a play tower and sometimes has deadly consequences. This post will not be going down the dark rabbit hole of possible negative consequences. Instead, my plan is to highlight the positive ways that I am living successfully with Bipolar. Yes, my tower is still standing, even if a bit wobbly. No, sorry, this is not me. Exercise is important for everyone. There is no question as to the benefits of exercise. The virtues of exercise include weight control, better sleep and overall health improvement. Blood pressure and heart rate tend to be lower in those who frequently exercise. 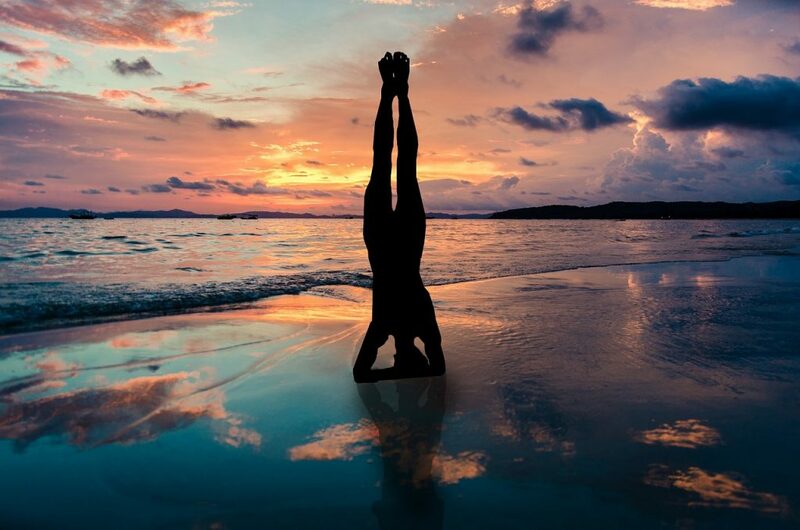 Another byproduct of exercise is mental well-being. People who routinely exercise often report being happier and more content in daily life. Yes, there is no doubt that exercise is good for you. When you have Bipolar, though, an odd new, and very important, variable is added to what should be a simple endeavor. Well, exercise can sometimes be the thing that sends the tower crashing to the ground. The reason why is that at times physical activity, especially strenuous activity, will bring on a manic episode. If you are a fan of Once Upon a Time you have heard the tagline, “Magic comes with a price” many times. I’m going to borrow that line because it is perfect for replacing magic with manic. Mania is great. I’m not going to lie, I loved being manic. There are times that I consider stopping my meds for a few days just to experience a few days of mania. Don’t worry, I never do. I know the importance of daily and consistent medication. But the desire is sometimes there. 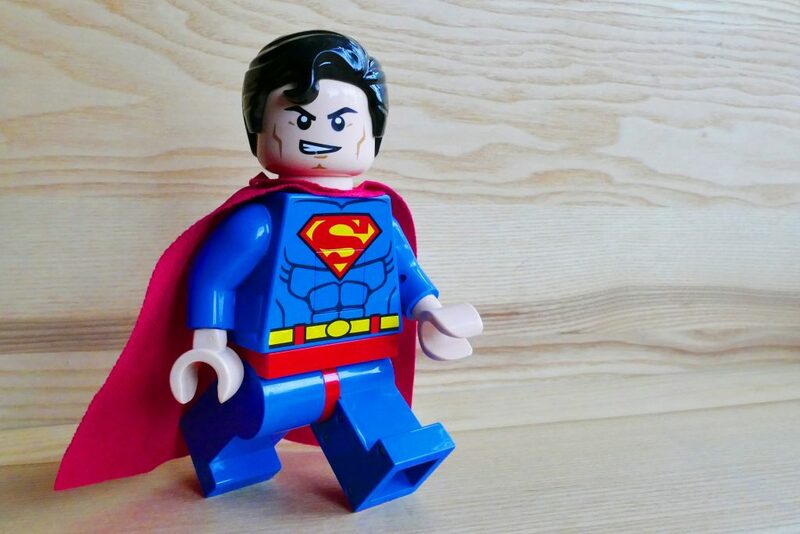 I sometimes refer to mania as Superman Syndrome. In the positive part of a manic episode, there is a sense of euphoria, an anything-is-possible, I can do it all feeling. For me, when I was manic, I was full of energy, the most creative and usually the life of the party. Manic episodes are very much like Dr. Jekel and Mr. Hyde. The good part I just described, that’s your Dr. Jekel. Mr. Hyde is a very different experience and almost always follows Dr. Jekel. The dark side of the manic episode includes extreme irritability (like throwing a clock at the wall because it’s ticking too loudly), the need to isolate yourself from friends and family, and unpredictable bursts of anger (there goes another clock! ), to name just a few. The only way I know of to keep Mr. Hyde away is to make sure you never see Dr. Jekel. That means stacking those bricks carefully. Returning to exercise, learning what is the right amount for you is a bit of a learning curve. Unfortunately, you are bound to release Dr. Jekel a few times in the process of learning your personal limit. That limit also seems to change some, at least for me it has, as you get older. But it is possible to keep Dr. Jekel safely hidden away and his cohort with him. Sleep is another area where proper balance is needed. Frequently, it’s the hardest area in which to stay balanced. Let’s start on the obvious side. Not sleeping at all, or not sleeping enough, is an easy to identify episode trigger. Most of the Bipolar people I know take some sort of medicine that helps them to sleep. Going without sleep for very long can almost guarantee that your tower will soon be pieces scattered across the floor. Personally, I am on Remeron (Mirtazapine ), which is effective most nights in making me sleep. Remeron is an antidepressant that is often prescribed to help with insomnia. It tends to give me the munchies (Hello, potato chips! ), but the benefits far outweigh a little weight gain. The nights it doesn’t work, I have Restoril (Temazepam) to take. I hate taking Restoril because it almost always gives me a headache the next day and sometimes will bring on a depressive episode. Drugs like Ambien had no effect on me, so my doctor prescribed Restoril for me. Usually, I only take it when I have gone two or three nights without any sleep. Maintaining your sanity, not to mention your balance, requires making sure you are getting enough sleep. There’s a reason sleep deprivation is used in torture. The brain needs sleep in order to keep functioning. The flip side, though, the one that seems to be seldom talked about, is the danger of sleeping too much. For me, this symptom is rare and generally only happens during a severe depressive downswing or when I’m dealing with chronic fatigue. The danger with too much sleep and I’ve noticed this in a lot of people, not just myself, is that it tends to make depression worse. It’s a snowball effect, where the more you sleep, the more you want to sleep. Crash! There goes that tower again. Sometimes you can force-break this cycle. I do my best when I get up at the same time most days. Hard as it may be, I make sure I get up and out of bed whether I have slept or not. I also keep myself on a strict schedule where I won’t let myself go to bed until bedtime, except in those chronic fatigue episodes. This consistency seems to work for me and keep my tower standing. There is no authoritative source for what I’m about to write. Again, this is my experience and trends I have noted with my own treatment and successes. Keeping my wooden tower standing requires balance in the area of social interaction. It has been one of the hardest lessons I have tried to learn, and I will probably always be striving to find the right balance. Finding your safe spot between being a social butterfly and a total recluse may take some time. Interaction with other people is important. As humans, we were created to be social, to interact with others. Spending time with other people can give you a chance to talk about the things you need to get out and give you some escape from your head for a while. For me, being social is very similar to the exercise routine. Too many social activities, too much time having to be “on,” and I find myself slipping into mania. On the other hand, too little association and I stop to become withdrawn, sullen and eventually depressed. Introvert, extrovert, hermit or party animal, find your balance and strive to stick to it. Your tower will be stronger as a result. When you buy Jenga, it comes with clear instructions on how to play the game. Sometimes the instructions will even give you tips on which pieces will be easiest to remove and the best way to stack them for tower stability. We were not so lucky. None of us were born with an instruction manual. (If you were, please send me a copy. I will happily pay shipping costs.) If you are Bipolar, there are thousands of books and blogs available to help you. But being Bipolar is often a very unique experience that varies from person to person. Write your own manual. First, you know you best. Second, you are the person that is most concerned with and affected by your stability. I also list how I am doing both mentally and physically. It only takes me a couple of minutes to jot down these notes during the day. Over time, keeping a health journal has helped me to identify my triggers for Bipolar episodes. Even more positive, it has helped me to see trends where I tend to do better and similarities in the days leading up to those better times. I am learning to keep my tower standing. Honestly, my wooden tower has crashed many times over the years. A few times those crashes and been devastating and hard to recover from. More often, they have been learning experiences that have helped me to build a stronger tower. Using the manual I have developed, tower crashes happen less often. The length of time between crashes is longer almost every time. These are just a few of the things I do to keep myself balanced. Do you have tips that help you to stay on the right path? Please share them in the comments below. Please pin this on Pinterest or share on Facebook and Twitter. Thank you! I love the comparison to Jenga! It felt appropriate, though the avalanche is often much bigger. Thanks for the comment! I think it’s so important that you included social activity. Being social actually wears me out, but if I don’t socialize and I isolate I get depressed. It’s a balancing act. That’s so true. I don’t think I’ll ever truly get the balance right. Thank you for commenting!